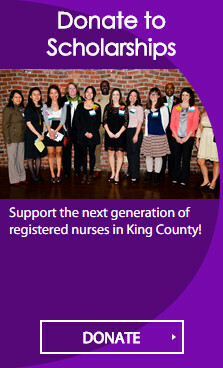 News2Use is published monthly for KCNA members and other nurses throughout King County. 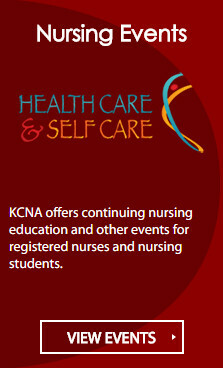 To comment or submit content, email kcnurses@kcnurses.org. To register to receive the newsletter, click here . Let's Celebrate! May 6 through May 9, 2019 is National Nurses Week and we are looking forward to celebrating with you. Be sure to join us for the Annual Meeting & Spring Banquet as we recognize our scholarship recipients and honor the Sining Star Nurse Award winners. It is such a fun event and a "once a year" opportunity to join in the auction that helps fund scholarships for nursing students. 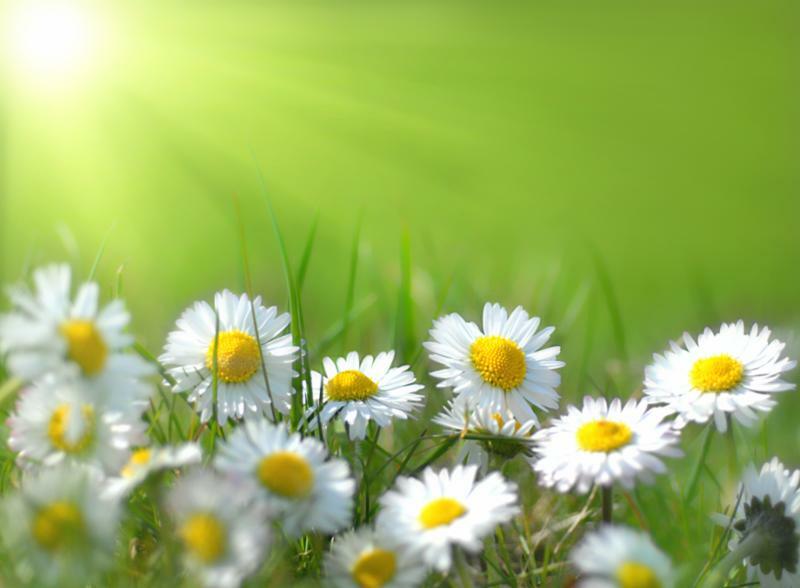 We are looking forward to seeing you at the Annual Meeting & Spring Banquet! Remember, the deadline for registering is April 29! See below for the link to register. Sometimes first aid isn’t about a bandage, or CPR or calling 911. Sometimes, first aid is you! A person you know could be experiencing a mental health or substance abuse problem. Learn an action plan to help! You are more likely to encounter someone in an emotional or mental crisis than someone having a heart attack. Learn how to help a friend, family member, coworker or neighbor in need. Get trained in Mental Health First Aid! Register: Sue Wyder- (253) 426-5957 or swyder@valleycities.org. Training is for any person 18+. Training provided by King County at no charge . Join us as we make the pledge to be alert when driving. No more driving distracted! Distractions can last a lot longer than people realize and thousands die every year as a result. Especially eye opening is number 5 in the list below. Distracted Driving is an epidemic. Be part of the solution, and Just Drive . Drivers talking on phones, hand-held or hands-free, miss seeing up to 50% of their surroundings. To explore the topic of distracted driving more, click here . 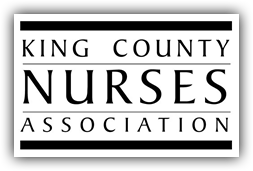 ﻿The Scholarship Committee of the King County Nurses Association (KCNA) is pleased to announce the selection of 18 scholarship recipients! Each recipient will receive a $3,000 scholarship towards their nursing education. Come meet them in person at the Annual Meeting and Spring Banquet! As always, the committee had to make some very difficult decisions as there were so many excellent applicants. Scholarships are awarded annually and applicants are encouraged to reapply (as long as they still quality.) Scholarship information for the next round will be available on our website early next year. We would love to be able to award more scholarships. If you want to make an impact on the future of nursing, please consider donating to our scholarship fund. Click here to donate! 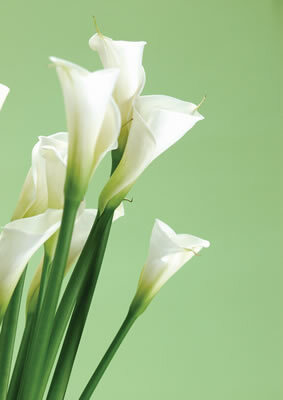 National Nurses Week begins each year on May 6th and ends on May 12th, Florence Nightingale’s birthday. Additionally, May 8 is designated National Student Nurses Day and the Wednesday within the week is National School Nurse Day. The week celebrates the legacy of Florence Nightingale, a nurse who became famous for treating wounded soldiers during the Crimean war, and for her work in establishing nursing as a profession. In the year 2020, we will celebrate Florence’s 200th birthday! KCNA joins in the celebration of nurses by hosting the Spring Banquet and Annual Meeting on May 9, 2019. Plan on attending this festive gala to show your support of nurses! 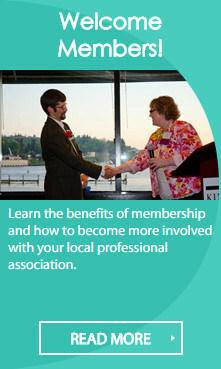 This year, the Annual Meeting & Spring Banquet – KCNA's most festive event of the year – will be held on Thursday, May 9 at the Ballard Bay Club in Seattle. This special evening includes presentation of nurse awards and student scholarships, as well as silent and live auctions to support the KCNA Scholarship Fund. The event takes place during National Nurses Week; nurses and nursing students are welcome! ﻿You must register by April 29. Don't delay. Register today! 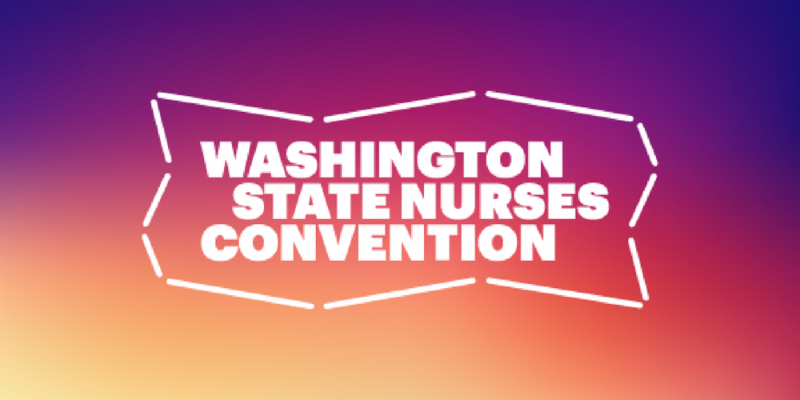 KCNA is looking forward to the 2019 WSNA Nurses Convention to be held on May1-3 at the Tulalip Resort Casino. We will have a table in the vendor area, so be sure to stop by and see us! As part of our contribution to the convention, KCNA will also be donating a relaxation themed basket to the Washington State Nurses Foundation. This year's convention theme is "Transforming health care through the power of nursing." To find out about attending and for more event information, click here . The next Seattle/King County Clinic has been scheduled for next year from February 13 – 16, 2020 at Seattle Center! The Clinic has provided $17 million in healthcare services to 20,000 people in need over five years. They are delighted to have found a new location and are tackling the challenges that come with changing facilities and the time of year the clinic is offered. 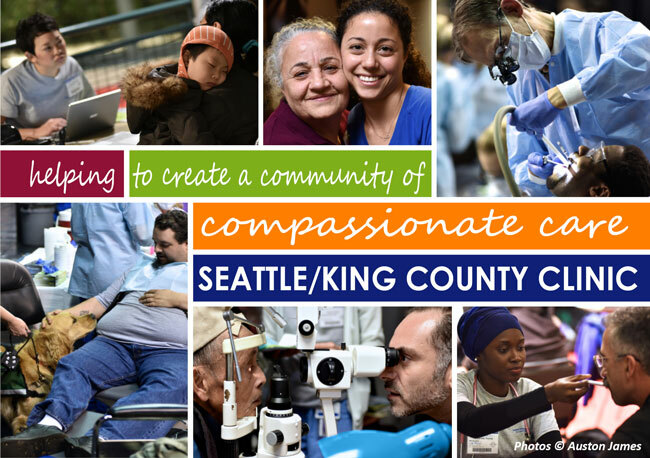 From the beginning, Seattle/King County Clinic has succeeded because of active engagement by the community. They are eagerly looking for volunteers. Click here for more information.